My latest chocolate adventure is a super-easy one. 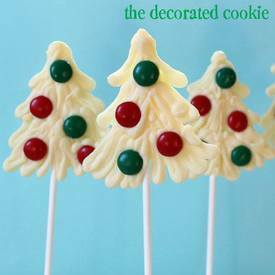 What with Christmas coming in 3 days (yeah, THREE days), everything I’m making falls under the category of “super-easy.” Chocolate Christmas tree pops. Quick and yummy.